Jose Mourinho has been exchanging messages with his former player Frank Lampard, as their teams are set to face each other on Wednesday. The Portuguese tactician shares a close relationship with several players he worked with during his time at Chelsea. 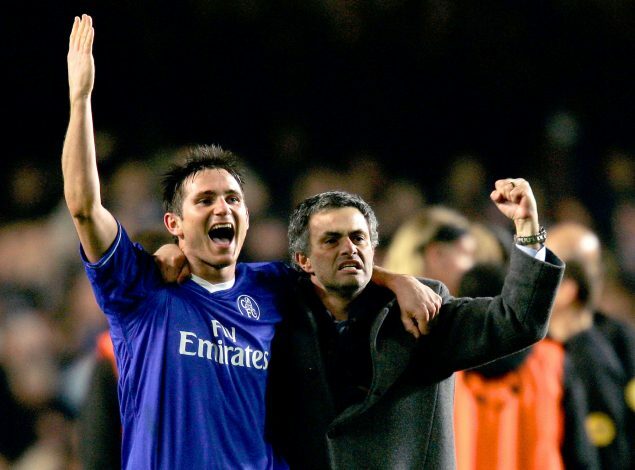 One of them is Frank Lampard, who played under the now Manchester United gaffer during both his spells at the Bridge. The ex-English International enjoyed a lustrous career with the Londoners before he decided to move to Manchester City. Eventually, the midfielder hung up his boots after playing only one season in the MLS, and chose to move into a managerial role. In May 2018, Lampard signed a three-year contract with Championship side Derby County. Currently 6th in the table, the Rams are looking to make their return to the Premier League, as they sit two points away from leaders Leeds United. Lampard will be shifting his attention to the Carabao Cup now, as his side has come up against the mighty Manchester United. In a recent interview, he revealed that Mourinho sent him a message on the occasion of his child’s birth. Manchester United suffered a setback this week, as Mourinho’s men were held by Wolves to a 1-1 draw in the Premier League. While we are likely to see some friendly scenes on Wednesday when Jose meets Lampard, the Special One will definitely be hoping for a better performance from his side as they look to progress to the next round.